Could everyday household cleaners somehow be making children overweight? As odd as that seems, the answer might be yes, says @NightshiftMD. Statistics Canada says close to a third of Canadian children and teens are overweight or obese. Overeating and not enough exercise are two risk factors behind the increase. But a study published earlier today in the Canadian Medical Association Journal zeroes in on a strange new culprit that lurks inside your house. And no, it's not the fridge. The risk factor is exposure to everyday household cleansers. Researchers from across Canada looked at data from the Canadian Healthy Infant Longitudinal Development (CHILD) study. It's a long-term study of 3,500 children that aims to predict, prevent and treat chronic diseases. The researchers compared infants three to four months of age who lived in households where consumer disinfectants were used once a week to infants who lived in houses where disinfectants were used far less often. Then, they took another look at these kids at the age of three. What they found is that kids who lived in households where disinfectants were used once a week had a higher body mass index (BMI). In other words, they were more likely to be overweight or obese. At first glance, this one is a head-scratcher. Household disinfectants kill germs that live on surfaces in the baby's environment. The researchers theorize that the close proximity of those cleansers has an impact on the bacteria in the environment and also inside the baby's intestines. Here's how: The researchers did not just measure the baby's BMI, they also checked the infant's feces for bacteria and made a really interesting discovery. Infants age three to four months who lived in houses where multi-surface cleaners were used had lower levels of Haemophilus and Clostridium bacteria, and higher levels of a germ called Lachnospiraceae. The more often the household used cleansers, the higher the level of Lachnospiraceae. But what does bacteria have to do with being overweight or obese? For some time now, researchers have been studying a possible link between obesity and the presence of certain bacteria in your intestines. Bacteria found in our intestines are made of hundreds of genes. Those genes produce amino acids that can be measured in the blood stream. 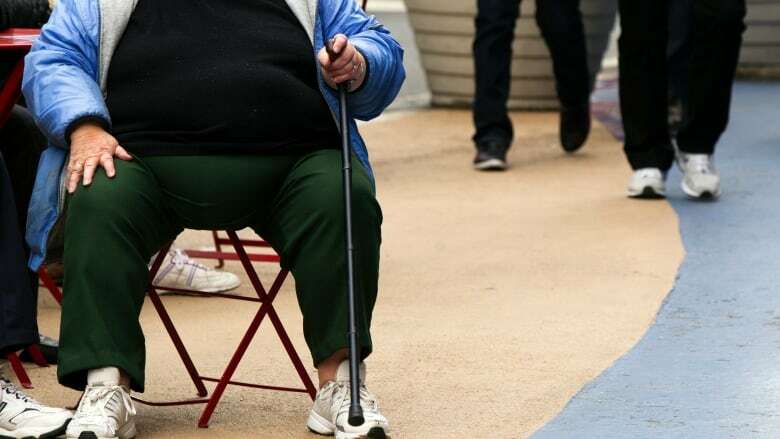 The germ hypothesis of obesity is that these amino acids affect the metabolism, and cause some people to gain weight. Therefore, anything we eat or are exposed to in the environment that affects bacteria in the gut could affect our metabolism and cause us to gain weight, or perhaps even to lose weight. To learn more, here is a good summary. A commentary published in CMAJ referred to the findings as plausible. Researchers from Johns Hopkins Bloomberg School of Public Health said exposure to germs during infancy seems to be important for the development of the immune system and to program the body's metabolism. Previous studies found higher rates of obesity in piglets that live in a frequently disinfected environment. There have been studies in humans, too. Babies born by Caesarean section are more likely to grow up overweight or obese than those born vaginally. Babies who pass through the birth canal pick up germs that babies born by Caesarean section miss out on. Other studies have shown that frequent use of household disinfectants reduces bacteria in the home. The commentary adds that it is plausible that strains of Lachnospiraceae play a role in metabolic pathways that lead to obesity. Researchers are looking at the role intestinal bacteria play in a wide range of other conditions, including bladder infections, kidney stones, Crohn's disease, colitis, diabetes, heart disease, fatty liver, alcoholic cirrhosis, and even cancer of the liver. There are reasons to be somewhat skeptical about the findings. Statistically, the results were considered marginally significant. The researchers were not able to classify cleaning products by their actual ingredients. The authors of the study admit this is a major limitation of the study. Without knowing the cleaning agents, it is hard to pin down an exact mechanism of action. The researchers acknowledge that the study was limited by not knowing factors in the mother's own medical history that could have had an impact on the baby's weight. These include her BMI, smoking history and education level. Much more research is needed before any of this gets turned into practical advice. Still, the study had one tantalizing finding that you might choose to put into action now. Infants raised in households where eco-friendly cleaning products were used were not overweight or obese at the age of three. They also had different bacteria in their intestines. They had much lower levels of a bacterium called Enterobacteriaceae. There's no evidence that particular germ has a direct effect on the risk of obesity. The researchers aren't certain why these kids did not become overweight. It's possible that infants raised in households where eco-friendly products are used had healthier lifestyles and healthier mothers. There's no harm in using eco-friendly cleaners and adopting the healthiest lifestyle possible. But there may not be any specific benefit. Could postponing lunch for play help curb childhood obesity?